Welcome to FLCAJ’s third annual “Women of the Industry” feature. We have long recognized the critical role that many women play in the community association industry—from community management to business leadership, the number of women in decision-making roles is accelerating. With that in mind, we invite you to take note of these exceptional women. Almost all facets of the industry are represented here: community managers as well as professionals in fields such as asphalt, banking, law, professional organizations, roofing, engineering, education, etc. These women have made an impact on the community association industry in Florida, and they have each made a difference in their respective fields. They are deserving of our congratulations and recognition. Services: AKAM On-Site serves South Florida’s premier luxury properties. With attention to every detail, we bring a rare combination of industry knowledge, professionalism, and flexibility to every association we service. 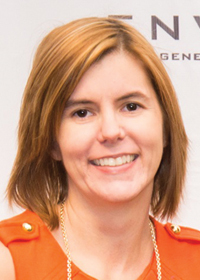 Gen Adams joined AKAM On-Site more than 10 years ago and in 2014 was named AKAM’s Management Executive of the Year for her unique management style and outstanding service to her clients and colleagues. Her weekly team meetings, quarterly staff workshops, and ethics training have developed a group of professional and empowered leaders, honored to be a part of the AKAM team. Gen’s commitment to staff development has resulted in the overall success of the community and amazing staff retention. Prior to AKAM, Gen worked in real estate and as a substitute teacher. What she loves most about her job is that every day you can make a difference in someone’s life by being a great leader, mentor, and manager. 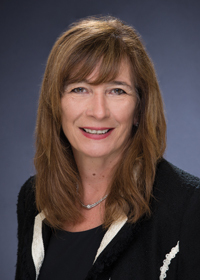 An insurance industry veteran with more than 25 years of experience, Ines has managed large departments of sales representatives, account executives, and customer service representatives at a number of major insurance brokerages including Aon Risk Services, Marsh & McLennan, and Alexander & Alexander. At Risk Strategies, a top-20 national specialty insurance brokerage and risk management advisory, Ines focuses on condominium community associations, coordinating new and renewal insurance placement as well as coverage reviews and analysis for existing and prospective clients. She manages all carrier and broker relationships for the office and meets face-to-face with all brokers, marketing representatives, and company underwriters. She has strong negotiating skills. Ines joined Risk Strategies through its 2016 acquisition of Advanced Insurance Underwriters. Services: Full turn-key real estate and community association management for commercial and residential condominiums, homeowners, timeshares, and vacation rental properties. 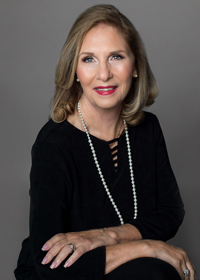 Ruth Anglickis’ property development background comes from being employed by Lehigh Corporation as administrative assistant to the President (Harry C. Powell, Jr.). From 1962 to 1981, Ruth helped Mr. Powell form 125 clubs and organizations in the community, along with the Spring Festival, to enhance the lives of those living in Lehigh Acres, and stayed involved in the sales and development of the community. When she came to Lehigh in 1962, the population was 1,200, and today it is well over 110,000. Many of the associations she helped to develop while working for Lehigh Corp are still managed by Landex Resorts today. She and Mr. Powell will celebrate 56 years of working together this October. 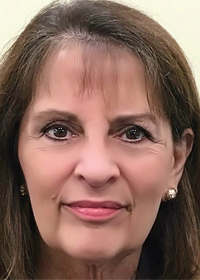 In recent years, she has been awarded the community’s Hometown Hero Award by Kiwanis Club and Foundation, and the Heart of Lehigh Award by the Lehigh Acres Chamber of Commerce for her stewardship. Janice’s association management career started in 1984 with what became a large, well-known management company in Boca Raton. Her focus in starting Greystone Management in the greater Orlando market was to provide a similar tailored style of management services for individual clients based upon their needs. It was never Janet’s intention to see Greystone Management become a large company, but to be a quality management company offering a more individualized approach for each association. She is proud to say that this philosophy is shared by all of the Greystone Management staff as well. Services: A full service law firm with attorneys and support staff experienced in and dedicated to all aspects of community association and real estate law. FLCAJ Reader’s Choice Award winner 2017 and 2018. 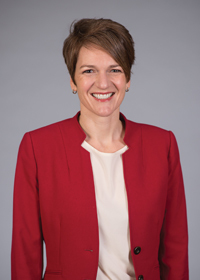 Originally from Maryland, Susan received her undergraduate degree from the University of Miami and her juris doctorate from the University of Denver College of Law. She also received her Master of Laws (LL.M) in Real Property, Land Development, and Finance from the University of Miami School of Law and is AV rated by Martindale Hubbell. 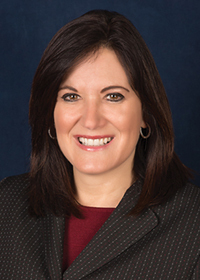 As the founder and managing attorney for Bakalar & Associates since 1994, Susan leads the firm in its representation of hundreds of community associations throughout Florida. As an avid animal lover, Susan brings her golden retriever Jack, a tripod and cancer survivor, to work every day. Services: A full range of innovative, discussion-driven educational classes and training for managers, board members, manager applicants, and service providers. In 1999, Betsy fell into the community association industry. For the next 10 years, she developed and presented courses for CAMs statewide. In 2009, Florida CAM Schools was born, which she says was truly a gift from God. Betsy loves her work because she is hooked on being around people who want to learn! 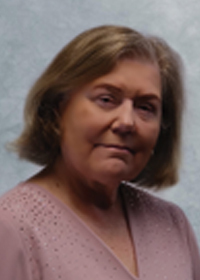 It is believed that Betsy is the only expert in the field of Florida CAM training who is a certified advanced behavior specialist, certified image consultant, professional development coach, speaker, author, trainer, a Florida licensed CAM, and CFCAM—Certified Florida Community Association Manager. Her son, Adam, is her best accomplishment. Currently a USMC Gunnery Sergeant, Adam, his wife Chasity, and son Rhett live in Northfield, VT, where Adam is assigned to the faculty of Norwich College. Florida CAM Schools supports our military by donating to Folds of Honor. 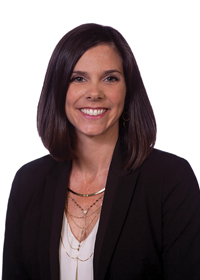 Amanda Barritt is a specialist in Condominium & Planned Development Law and serves as chair of Henderson Franklin’s condominium and homeowners associations practice group. She represents residential and commercial condominiums, as well as homeowners and property owners associations, in all aspects of condominium and property association law. 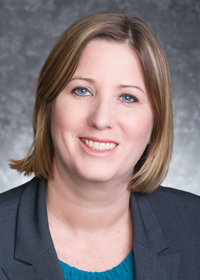 Amanda speaks to community association management groups and shares practical advice on The Legal Scoop on Southwest Florida Real Estate blog. 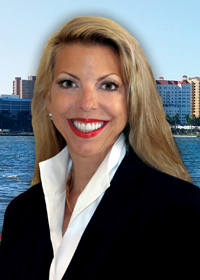 She is a member of the Real Estate Investment Society and the Real Property Probate & Trust Section and Condominium and Planned Development Committee of The Florida Bar. Amanda received her law degree from Florida State University. Originally from the Washington, D.C., area, Jane received a B.A. 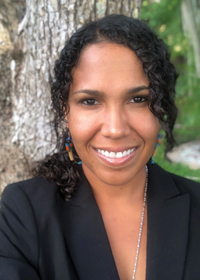 in political science from Radford University, a master’s in sports management from the United States Sports Academy, and her juris doctorate from St. Thomas University School of Law. Prior to founding PeytonBolin, she owned a portfolio community management company. That company grew from one employee to eight, and from the first 14-unit community to more than 3,000 units under management in less than two years. In July of 2008, she and Mauri Peyton merged their solo legal practices to form PeytonBolin, PL. Today, their firm represents hundreds of Florida community associations and individual unit owners. Services: A full-service association management company, providing facilities management, financial management, and administrative services. She never thought of herself as a “sales” person; however, after 25-plus years, Kathy found that she is a modern version of one. She began her career in Indiana. Desiring a career in an industry that would survive economic turmoil, where making money went hand-in-hand with helping people, she found that association management was a great fit. In 2002 she chose to work for CA over many other management companies. Larger companies don’t always provide good customer service, but medium-sized, locally-owned companies are better able to control their practices. By that, she means they are free to tailor their services to supply customer needs. She also enjoys public speaking, teaching, and coaching board members. Services: Haber Slade, P.A., is an 11-attorney boutique law firm that focuses on the following practice areas: condominium and homeowners association law, complex business and commercial litigation, construction and design defect litigation, real estate law, foreclosure and lien litigation, residential and commercial real estate closings, title insurance, aviation law, bankruptcy and creditors’ rights, and family law. Rebecca is originally from Memphis, TN. She attended the University of Miami as an undergraduate and then went on to earn her law degree from the University of Miami School of Law in 2012. 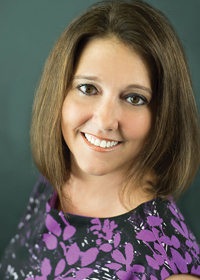 When asked about her most satisfying professional accomplishment, Rebecca recalls two cases where she obtained summary judgment rulings for condominium association clients to enforce their governing documents and rules. One of those rulings was appealed and later affirmed by the Third District Court of Appeal. Rebecca’s interests outside of work include traveling, baking, and trying to beat her annual goal of reading 30 novels per year. Services: Community security solutions—virtual gate guard, active and passive video surveillance, and access control. 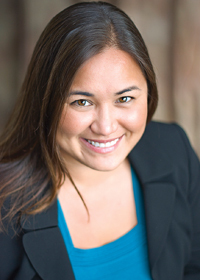 Crystal Clark has worked at Envera Systems for 10 years, and she loves the dynamic culture. As one of the original employees, Crystal’s contributions have provided a critical component in the company’s development and growth. In her role, Crystal has the pleasure of increasing Envera’s brand awareness while assisting the sales team to increase Envera’s market share. Her position allows her to be creative and experiment with ideas, with the strategic processes and finalized projects being very rewarding. Crystal’s initiatives have also improved communications, workflows, and reporting capabilities for Envera. She looks forward to experiencing Envera’s continued growth. Angie has pursued her passions of landscaping, horticulture, and everything green for more than 20 years, culminating in her work at Florida Evergreen. It is deeply gratifying to beautify a customer’s landscaping, helping them realize their visions of their outdoor spaces. 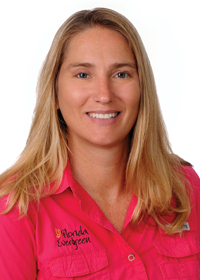 As a Florida native and an avid lover of the outdoors, Angie has enjoyed Florida’s natural surroundings her entire life through camping, canoeing, biking, and hiking. Two of the most influential people in Angie’s career, Mike Stein and Bruce Ward, were empowering mentors who advised her well, encouraged her, and helped her turn weaknesses into opportunities for improvement and growth. Elizabeth’s banking career began in retail banking, managing branches and working with commercial loan clients. 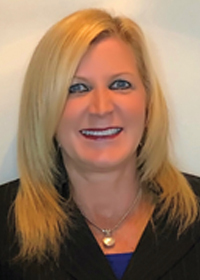 In 2007, Elizabeth worked for a startup bank as the branch administrator responsible for three branches, which further expanded to a regional retail team leader managing branches from Tampa to Naples. She currently works in the association banking department providing association banking products and services, managing 70 million dollars in deposits, and working with both management companies and self-managed associations. Elizabeth has given back to her community by volunteering for non-profit organizations, serving as a board director and board chairman for the Venice Area Chamber of Commerce and The Loveland Center. Jessica began her banking career as a part-time teller in college, during which time she developed a love for banking. Jessica’s experience includes retail banking, credit analysis, and for the past six years, treasury management. Jessica specializes in discovering the best combination of deposit and electronic services, which are designed to maximize interest, minimize fees, increase accounting efficiencies, and mitigate the risk of fraud. Jessica has extensive experience managing complex corporate relationships and takes a partnership approach with her clients. In her free time, Jessica enjoys volunteering for animal rescue groups, helping cancer research organizations, reading, and scuba diving. The joke goes that nobody ever said as a child, “I want to manage community associations when I grow up!” Like many others, Andrea Drennen, CMCA, found the community association management industry by accident, and she fell in love. Andrea has turned that love for the CAM industry into an obsession to help make it better. As Marketing Manager at TOPS Software, she regularly shares resources like sample letters, worksheets, checklists, eBooks, and articles to help CAM professionals increase efficiency and grow their profitability. Want to know more? Subscribe to the TOPS CAM Blog at camblog.topssoft.com. Services: Alliance Association Bank (AAB) is a division of Western Alliance Bank, a wholly owned subsidiary of Western Alliance Bancorporation (NYSE:WAL). Western Alliance Bancorporation is rated #2 on the 2018 Forbes Magazine’s Best Banks in America List. AAB specializes in deposit products, lockbox, and loans to associations and their management companies across the country. After graduating from Iowa State University with a B.B.A finance degree, Lisa Elkan moved to Florida and enjoys living in south Florida. Lisa believes, “Before you assume, learn the facts. Before you judge, understand why. Before you hurt someone, feel. Before you speak, think.” She joined Alliance Association Bank in 2013, and her philosophy is to be an advocate for her clients. She follows through with what she promises in order to meet each client’s expectations. Her position at AAB allows Lisa to establish strong relationships with her clients by listening to them and proposing options that best fit their association banking needs. 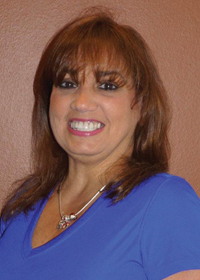 She is an active member of both the CAI Southeast Florida and the CAI Gold Coast Chapters. Juda, Eskew & Associates P.A. Services: Juda, Eskew & Associates offers a full range of accounting, audit, and focused financial services to condominium and homeowner associations throughout Florida. Our main core is full service monthly accounting inclusive of accounts receivable, accounts payable, budget preparation, cash management, general ledger, and compiled financial statements. Our monthly services are web-portal based and tailored specifically for both the board of directors and management as well as the homeowners. Recently added to our monthly services is the new requirement for Florida condominiums with 150 units and more to digitally post certain documents to a secured website. In addition to monthly services, we provide year-end services, cash receipt and disbursements statements, compilations, reviews, and audits. We also are available for extended services, such as bank loan assistance, insurance proceeds recovery, expert witness testimony, litigation support, developer turnover, receiverships, and other agreed upon procedures as needed. Carol Eskew, C.P.A., is the firm’s engagements partner. 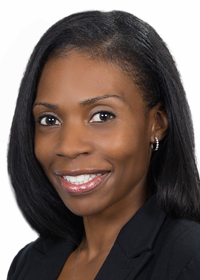 She is a graduate of Florida Atlantic University and joined the firm in 2001. She is dedicated to providing excellent client services and development as well as spearheading special projects involving developer turnovers, receiverships, and expert witness testimony. Carol enjoys traveling both here in the United States and Canada as well as overseas. Each year she and her travel buddies plan a memorable trip filled with great adventures that always includes the natural beauty of the areas they visit. Services: The Law Offices of Dania S. Fernandez and Associates P.A. practice the field of community association law in the state of Florida. We focus on the development, formation, and representation of community associations and similar clients, including property managers, service providers, builders, and land developers. Dania S. Fernandez was born and raised in Miami, Florida. 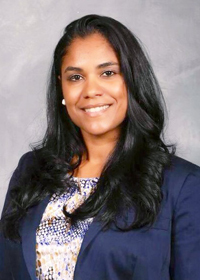 Before earning her law degree at Nova Southeastern University, she was an educator for special needs children. Her constant drive and willingness to help all those around her has been her key to success. She is always focused and gives her heart to all she does. 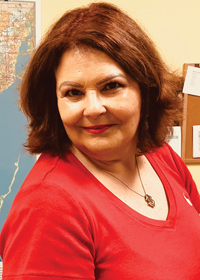 She has built her practice by educating her clients and filling the needs of the Hispanic community of South Florida. Her top priorities in life are happiness, good health, and family. Her drive to reach her goals is like no other, and she plans to continue guiding and helping communities for years to come. Services: Association management, association governance, association record maintenance, accounting, assessment and billing, collections, tax and association reporting, vendor management, full-featured community website, and technology and communication. Rebecca Furlow started Leland Management 20 years ago with one employee and 13 communities. 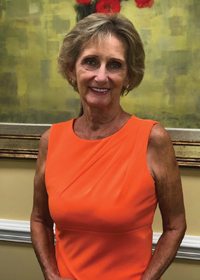 Through her dedication, knowledge of the association management industry, and focus on customer service, she has grown Leland to a company that employs more than 350 people, serving more than 100,000 homeowners throughout Florida. 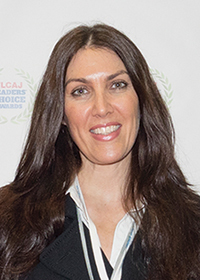 As president of Leland, Rebecca remains focused on developing an excellent reputation based on honesty, respect, trust, and customer service. As a result of her hard work, Rebecca has been recognized personally on multiple occasions and has led Leland Management to be named “Best Places to Work” by the Orlando Business Journal for eight consecutive years. A true leader, she takes an active role in all aspects of the company and leads by example. As Vice President, Relationship Market Manager for BB&T Association Services for the past four and a half years, Jayme has been able to utilize her 30 years of association management and educational training to be a resource to management companies and self-managed associations. She has assisted them with their financial needs, including loans, lockbox, and FDIC protection for their funds. Possessing the Professional Community Association Manager (PCAM) designation has granted an extensive knowledge in community association management, which is appreciated by those board members Jayme services. She says, “My dad always taught me to be true to myself. To believe in myself that I could accomplish anything that I put my mind to. That who you are today is a culmination of all of our yesterdays.” Jayme believes that her dad’s teachings and all of her life experiences allow her to get up every day and enjoy the job she is lucky enough to be able to perform at BB&T. Star’s entire professional career has been dedicated to the insurance field. With a bachelor of science degree in business finance and a lifetime in the insurance arena, Star is recognized as a highly ethical professional with unmatched experience and skill at customizing insurance plans for inland and coastal associations. Her concentration on insuring associations has made her an expert in the complexities of insuring condominium and homeowner associations. She has earned the prestigious Certified Risk Manager (CRM) designation, which only a few obtain. In addition, she has earned the professional certification of Community Association Service Provider (CASP) and is a state-certified Community Association Manager (CAM) continuing education trainer. Star loves educating boards, property managers, and residents and helping them understand insurance needs. Services: GNM Hough Inc. specializes in the installation and service of access control, video surveillance, and intrusion detection systems. In 1999 Gina began working for a global company that provides fire and security installation and service. In 2002 she was on a team that headed up the DSO Reduction Team and won the Gold Award for Asset Management for the Fire Safety Division; in 2007 she won Sales Professional of the Year. 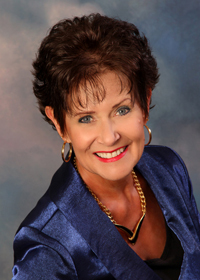 In 2009 Gina and her husband formed GNM Hough Inc, and she left corporate America and never looked back. 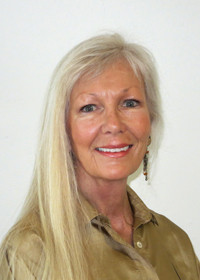 GNM Hough is currently a Silver Trustee Member of the Davie-Cooper City Chamber of Commerce, and Gina is currently the Chamber’s board president. She recently won the 2018 Small Business Person of the Year Award and was honored among her peers at the annual luncheon this past April in Plantation, Florida. She is solutions driven, has a passion for business, and enjoys networking with other business professionals. Services: Community management for single-family home communities, condominium, and townhome communities. 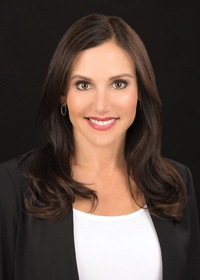 Emily grew up in South Florida and moved to Austin, TX, for college, where she earned a bachelor of business administration degree from St. Edward’s University. She has worked in the industry since 1998 and joined her husband’s firm as vice president in 2011. Emily is most proud of the professional accomplishment of seeing the company grow and exceed the goals established by her and her husband. The best advice she received is, be the best company, not the biggest. Others would say she is focused on financial reporting and education. When not busy with work, she enjoys volunteering and camping with her youngest son’s Cub Scout pack. Services: Juda, Eskew & Associates offers a full range of accounting, audit, and focused financial services to condominium and homeowner associations throughout Florida. Our main core is full service monthly accounting inclusive of accounts receivable, accounts payable, budget preparation, cash management, general ledger, and compiled financial statements. Our monthly services are web-portal based and tailored specifically for both the board of directors and management as well as the homeowners. Recently added to our monthly services is the new requirement for Florida condominiums with 150 units and more to digitally post certain documents to a secured website. In addition to monthly services, we provide year-end services, cash receipt and disbursements statements, compilations, reviews, and audits. We also are available for extended services such as bank loan assistance, insurance proceeds recovery, expert witness testimony, litigation support, developer turnover, receiverships, and other agreed upon procedures as needed. 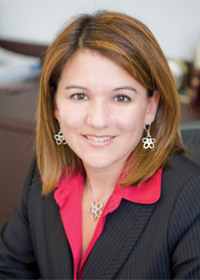 Kimberly A. Juda, C.P.A., is the firm’s managing partner. 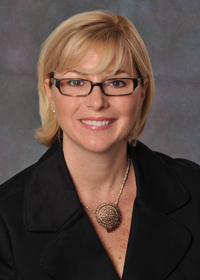 She is a Fort Lauderdale native who graduated from Stetson University and joined the firm in 1984. 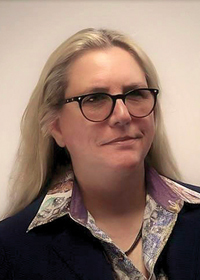 She is committed to utilizing technology in the application of the firm’s structure and has a certification in AICPA System and Organization Controls for Cybersecurity. Kim’s an animal lover, and when not at work, you can find her at her home, the “Runaway Ranch” in Southwest Ranches. Runaway Ranch is home to her horses, dogs, and cats. She has a passion for photographing nature in all forms under the hobby name of Runaway Lens. Services: Florida Community Bank (FCB) provides custom solutions for both depository/ lending and treasury management designed for Florida condominiums and HOAs. With more than 7,800 association account relationships, 50 FCB banking centers, and local Florida lockbox locations, FCB provides each association and property management company a dedicated relationship manager to provide the “ultimate client experience.” Equal Housing Lender, Member FDIC. Throughout her career, Kathleen has discovered she’s passionate about helping others. Her latest accomplishment includes providing continuing education to various CAMs. “Everything You Wanted to Know About LENDING but Were Afraid to Ask” will be available at many tradeshow events this fall. Kathleen leads her team by example, by not sweating the small stuff, and by reminding others that the only thing you can control is your attitude! Services: Condominium Associates is a full-service association management company, providing facilities management, financial management, administrative services, and property maintenance. strategic planning. Lola holds a double bachelor’s degree in finance and business administration. She has a master’s degree in business administration and a master’s degree in accounting. Lola is also a Certified Fraud Examiner (CFE). Her diverse background includes industries ranging from banking to non-profits to insurance and real estate/HOA management fields. She also speaks five different languages. As the recipient of the 2014 National On-site Manager of the Year Award and a 2018 Top Ten National On-site “Manager of The Year,” Marcy has made an impact by recognizing her team’s strengths, minimizing weaknesses, seeking out opportunities, and eliminating threats (SWOT). She sets out to create a completely new culture of teamwork within her organization. Her open communication with staff and unique management style encourage a teamwork mentality that greatly improves all aspects of any organization. With her passion and drive, she continues to strive to improve more than just the physical state of the organization by utilizing her leadership style in creating a happier work life for her staff and, most importantly, the entire organization! Alexandra is vice president at Best Roofing, where she oversees the branding & business development department. She’s been with the Best Roofing team for more than five years and brings to Best Roofing a wealth of knowledge and experience in the commercial and industrial facility management industry. She provides exceptional customer service to every one of her clients and enjoys working with customers in her market. Outside of work she enjoys yoga, and she takes great pride in her three sons. Her top priorities in life are family, spiritual and physical health, and her career. She loves inspiring and motivating people, which shows in her co-workers, who say she is a hard-working, humble, focused, and fair woman. Services: Their professional re-strapping and sling replacement division offers quality workmanship along with a wide selection of the latest colors and patterns to choose from. Their services also include custom cushions using Sunbrella Fabrics. Absolute Patio Furniture Restoration is a division of Absolute Powder Coating, which is a leader in the architectural industry. They specialize in patio furniture restoration for hotels, condominiums, country clubs, designers, homeowners, and manufacturers. All refinishing is done in their 30,000 square foot facility in Pompano Beach. Their process includes sandblasting to remove existing finish and surface corrosion, chemical pretreatment, and a two-stage powder coating system for ultimate performance. They offer a large selection of colors and textures and are certified refinishers for some of the largest furniture manufacturers in the country. They are certified by the American Architectural Manufacturers Association (AAMA). Sheila Lee is originally from Ohio. She moved to Florida and earned her bachelor’s degree in business finance. She started her career 15 years ago in retail and commercial banking. 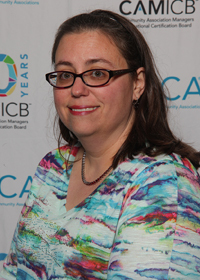 Currently, Sheila works with the association banking department, where she has earned her CAM license and CMCA certification. She is dedicated to helping associations and management companies by working with them to provide products and services designed specifically for their industry. She enjoys spending time with her wonderful family: her husband of 18 years and their three beautiful children. Services: AR Tech has been servicing Florida since 1993 and is the leader in asphalt maintenance, sealcoating, rejuvenation, consultation, and education. 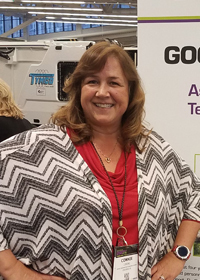 Connie Lorenz, also known as the AsphaltChick, led her team in receiving the Good Neighbor Award through the National Pavement Expo in Cleveland this year, where she taught her latest CEU class, “The Perfect Paving Project—Contractor’s Edition,” to her peers. Connie and her team are also multi-year recipients of the FLCAJ Readers’ Choice Award, Pulse of the City Award, and Top Contractors’ Awards in multiple categories, along with Connie herself being awarded Enterprising Women of the year in 2016! With a heart toward volunteerism, Connie and her team are avid supporters and donate their time to the Sunshine Village located in Davenport, Florida, which provides wishes for not only terminally ill children but special needs kids as well! 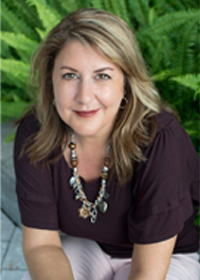 Alice began her career in association management in 1994 with a Central Florida property management company where she fell in love with the industry. Her main focus was/is in the financial arena, reviewing financial reports and corporate accounting. Alice became a licensed CAM in 2014 and now also enjoys this area of management as well. She feels one of the most important accomplishments a management company can do is to educate homeowners and board members and provide personalized services. Siegfried, Rivera, Hyman, Lerner, De La Torre, Mars & Sobel P.A. 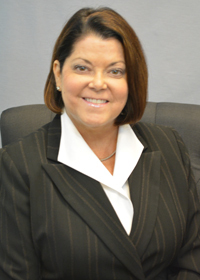 Services: Partner Laura Manning-Hudson with the South Florida law firm Siegfried, Rivera, Hyman, Lerner, De La Torre, Mars & Sobel P.A. has focused on representing condominium and homeowners associations in all aspects of community association law since 1998. Manning-Hudson is a shareholder with the law firm and a regular contributor to its community association law blog, wwwFloridaHOALawyerBlog.com. She has played an integral role in developing and shaping the firm’s community association practice into one of the largest in the state. 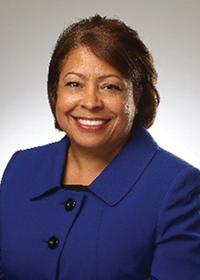 Manning-Hudson received her bachelor of arts from Florida State University in 1993 and her juris doctorate from the University of Miami School of Law in 1997. 2018 marks 30 years for Annie Marks and her team of dedicated associates at MAY Management. 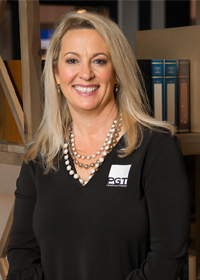 Since 1988 Annie has rolled up her sleeves with one goal in mind, providing the absolute best service to her clients. Her success over the last three decades speaks for itself. Her vice president of sales and marketing, daughter Catie, takes pride in the same innovation, integrity, blue-collar attitude, and excellence throughout not only their associations but also the industry as a whole, serving as the president of Northeast Florida Chapter CAI (Community Associations Institute) for 2019. The mission at MAY is to continue to provide homeowners with the best association management, and they are poised to bring new groundbreaking tools to the industry in 2019! Services: Overall association representation, amendments to association documents, civil litigation, representation of plaintiffs and defendants, state and federal trial and appellate courts, construction contracts and projects, developer/turnover issues, elections/annual meeting assistance, collection of assessments, arbitration and mediation of disputes, and pre- and post-hurricane assistance. Pennie started with the firm nine years ago and has not looked back! Pennie loves her work contributing to the operational fabric of a community. She works hard to change the perception of who lawyers are and what they do to assist clients in achieving a result that is in their best interest and, ultimately, the best interest of their community. 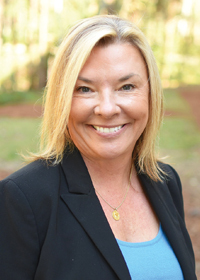 With an undergraduate degree in environmental science from Florida A&M University and her law degree from the University of Florida, Pennie is right at home blending her background in biol-ogy, physics, and chemistry with the law for clients’ construction-related needs. Services: Vista Community Association Management is a local firm with more than 20 years in the community association management industry. We specialize in off-site and on-site management, accounting, and administrative support for community associations. Diana got her start in community association management in 2006 with Vista. Diana cites the former owners as the most influential people in her career, first for providing her with the opportunity to work in this industry, and second for nurturing her skills in community association management. She stayed on when the new owners took over in 2013 with an appreciation and interest in the path Vista has taken to continually improve processes introducing a true “team approach” to association management. Diana continues to provide great service with Vista to all of her boards and residents and says the reason she does what she does is she truly enjoys working with her communities and helping them within the parameters of the governing documents. Danielle has been in the building industry for more than 20 years. Her extensive and diverse experience includes leading nationally-recognized brands and working with complex configurable product lines and various channels of distribution. A few key career achievements include successfully leading a comprehensive brand refresh for America’s No. 1 builder brand, Merillat Cabinetry, increasing brand equity in market while improving sales and margins significantly; and being awarded a Bronze Telly in 2014. Danielle has a passion for giving back and being involved in her community to help bring about positive change and growth for those around her. Services: We put the “check” back into your association. ARI is known for successfully helping businesses with the improvement of cash flow by utilizing non-aggressive measures designed to decrease delinquencies while minimizing cost for recovery. Founder Melissa Nash loves her work and takes pride that ARI has a 70 percent success rate of files resolved during the statutory wait period. “The best business advice I have ever received was to focus daily on my three Ps: priorities, profession, and person,” Melissa shares. “I credit my grandmother for inspiring me in life. Despite many challenges, nothing ever took her down—she lived with grace, dignity, and a smile. I strive every day to do the same.” Melissa is a board member of the Florida Collectors Association, Junior Achievement of the Palm Beaches & Treasure Coast, and the Police Athletic League. She takes an active role in the community by volunteering and supporting community events with a strong passion for youth. 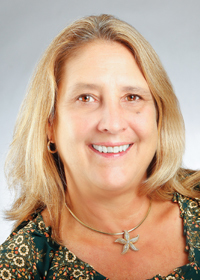 Kathy has served as a board member, community association manager, and financial services professional. She has a passion for community governance and enjoys helping to protect and enhance the property values of the communities she serves, in the paradise in which she feels we reside. Kathy believes in the “team approach” when working with management and the boards of directors toward the most beneficial and secure financial plan for the communities she serves. 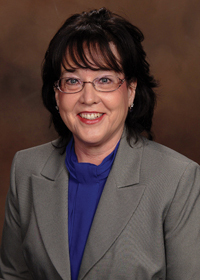 Kathy is a Maryville University graduate, with a degree in business communications and a minor in political science. She has enjoyed serving on the board of directors for both the CAI Southeast Florida Chapter and the CAI Gold Coast Chapter. Services: Forge Engineering, established in 1996, is a locally owned, multi-disciplined engineering firm based in Florida. Forge’s services are utilized by clients to assist them in one or all phases of a project’s life. 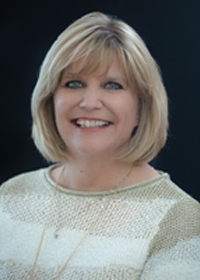 Roxann is a proven administrator with a successful background of 30+ years of experience in the marketing and administration of engineering companies. Her background includes being the Florida Region CAO of an international engineering firm with more than 300 Florida-based personnel. During her tenure with engineering firms, she has been responsible for the day-to-day operations ranging from individual departments to large complex multifaceted engineering offices. She is credited with being the spark and laying the framework for the creation of Forge Engineering Inc. Roxann and husband Matt are parents of four children and two grandchildren. They live in Naples. Services: FirstService Residential is North America’s largest manager of residential communities and the preferred partner of HOAs and community associations in the U.S. and Canada. 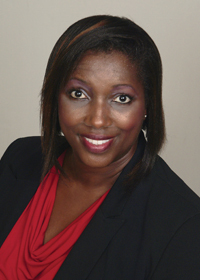 Ms. Parker oversees the execution of all major company initiatives at FirstService Residential. She has a robust background in working with leadership teams to improve operations and elevate overall performance. Her colleagues describe her as a source of positive energy who takes accountability and expects accountability. “It’s an honor to work with talented people who represent diverse points of view and yet are driven by the same set of core values,” she says. Ms. Parker is an Ontario native who enjoys singing and songwriting in her spare time. She was the recipient of the Queen’s Jubilee Medal for raising nearly $40,000 for Cystic Fibrosis Canada through her live concert performances and original musical CD. Lisa Pinder has been working for FLCAJ for 31 years, since the very first issue in January 1987. 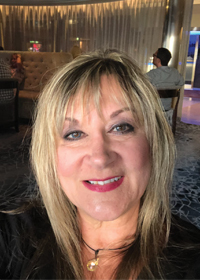 Her current position for the last 13 years is with CondoJobs Recruiting Service, where she has been assisting Florida associations and management companies in their search for licensed community association managers. CondoJobs Recruiting Service is Florida’s premier recruiting service dedicated to meeting the needs of board members and managers. Lisa’s resolution is to continue to meet the changing and growing needs of community associations, condominiums, homeowners associations, and cooperatives. She is committed to providing the information, resources, and services needed to operate associations effectively and efficiently. It is her ongoing goal to match managers with communities and management companies who are in need of their services. Services: Southern Chute offers trash chute cleaning, maintenance, and repairs; odor control; and dryer vent cleaning. In 2001, Southern Chute was started by Chet and Sandy Ribner, with Joanna as GM. She has been the president since 2016. Joanna’s goal for Southern Chute is to always make a difference to their customer’s property! “If we cannot improve a situation or resolve a problem, we will not take your money!” She also works hard to ensure employee satisfaction and job enjoyment. Happy employees who feel fulfilled are definitely going to do a better job. Southern Chute is also very involved in DRSF, a local charity which rescues dachshunds. 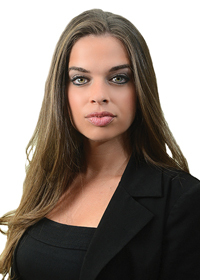 Danielle Riggin is an attorney with the South Florida law firm of Backer Aboud Poliakoff & Foelster, LLP. 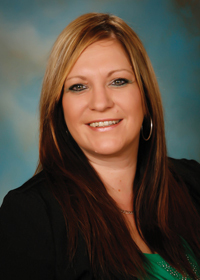 Danielle has represented condominium and homeowners associations since 2010. 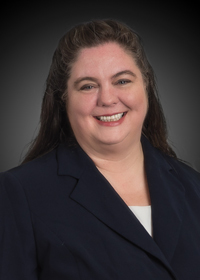 She provides general and litigation legal counsel to scores of the firm’s community association clients with an emphasis on covenant enforcement, assessment collections, foreclosures (lien and mortgage foreclosures), evictions, and other litigation matters. 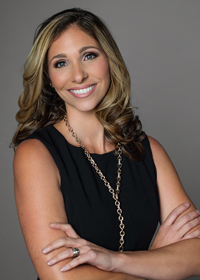 Danielle Riggin was born and raised in the same area in South Florida where many of her clients’ communities are located. She takes great pride in her hard work and in her dedication to her clients. Her work ethic and preparedness have earned her a remarkable reputation with the judges before whom she litigates. Outside of the office and courtroom, Danielle makes it a point to give back to the community and volunteers every Saturday and Sunday with local animal rescue groups. Clayton & McCulloh P. A. Services: Full-service community association law firm finding solutions for frustrated community association board members and their managers while offering numerous flat rate, collection contingency, and complimentary services with a personal touch throughout Florida. Also, provide year-round complimentary educational programs. In 1991, Arlene-Frances joined the Clayton & McCulloh team helping community associations solve the challenges that they face. In 1996, she created and organized the firm’s very successful seminars to educate board members and managers, which continue today. She also serves as a frequent speaker for Clayton & McCulloh as well as numerous other organizations. She has served on the board for many organizations (as well as founded two), such as NECAM, BCAM, and the Mid Florida Chapter of CAI. Going above and beyond the call of duty is demonstrated by her availability 24/7 for board members and managers. Arlene credits the success of the firm to the awesome C&M team who give 110 percent to their clients. Her other passions include pet rescue and politics, working in local, state, and national campaigns. 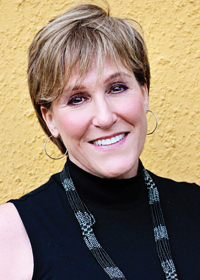 Robyn Rocco, VP, studied at the University of Miami, FL. She has an associate degree in business with a minor in mass communication, and a bachelor’s degree from the International Academy of Design and Technology. She has been instrumental in helping to grow the company into what it is today, while maintaining the value people have come to recognize in community association management business. Robyn oversees the corporate office affairs and its managers. She has helped obtain special designations for the properties we manage, such as Green Lodging Certifications for our timeshares, and has set up most other properties to receive incentives for Leadership in Energy Efficiency programs. Robyn adds her qualifications to the CAM firm by holding a Florida real estate license and Florida community association license since 2009. 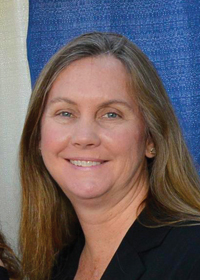 Lake and Wetland Management Inc.
As an ecologist for Lake and Wetland Management, Mattie Rush played a significant role in South Florida’s Hurri-cane Irma relief efforts, especially in Punta Gorda. She stabilized shorelines along dozens of properties by deploying the firm’s SOX Erosion Solutions’ patented systems. These products restore living shorelines and hillsides with bioengineered erosion control solutions that are stable, environmentally safe, long-lasting, and compliant with all BMPs (Best Management Practices). Mattie grew up in the woods of Gainesville, FL, catching frogs and tadpoles, and later studied Wildlife Ecology and Conservation at the University of Florida. She spends as much free time as possible exploring the world with her husband and two children. Together, they founded an organization to use their passion for wildlife and photography to spread environmental awareness and benefit local conservation efforts. 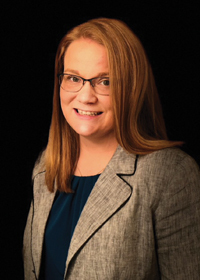 Stephanie Saunders serves as director of marketing and client relations for United Claims Specialists, a dynamic public adjusting firm specializing in property damage claims. In this capacity, she provides oversight of the firm’s client services, marketing, and large loss accounts. With a decade of experience, Stephanie built a reputation in the creditor-owned real estate sector by leading client acquisitions and bank-owned property management. In her current role, Stephanie is responsible for working with community associations to ensure they receive maximum settlements when property damage arises. United Claims Specialists offers free community inspections and assessment of previously paid property damage claims. Alexandra was born and raised in Germany and moved to Florida in 1998. 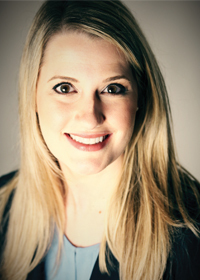 Alexandra started at Alliant Property Management in April 2009. She was hired as a CAM and moved up quickly to regional manager, operations manager, director of operations, and now VP of operations, where she is an excellent team builder. Her management style encourages her CAMs to treat clients as they would want to be treated. Alexandra is a leader, effective communicator, and problem solver and enjoys close professional relationships with the boards of directors and their communities. Having been in association management for more than 20 years, Alexandra has set high standards for her team that consists of 28 CAMs and five administrative assistants. Alexandra is married and has two children. She enjoys crafting and animals. 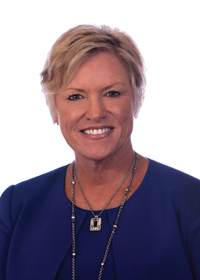 Millie Strohm is co-founder, president, and CEO of one of the largest, locally-owned management companies in Southwest Florida, with 91 employees and more than 150 associations. She grew up and was educated in Philadelphia, PA; relocated to Florida in 1996; and began her new career. Millie is an enthusiastic individual who is able to build relationships and make connections with clients and staff. 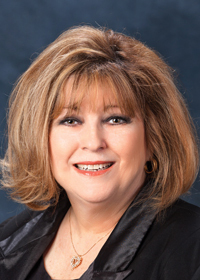 Millie has more than 35 years of combined experience in management, accounting, and human resources in the condominium and homeowner association field and several other industries. Honesty, integrity, loyalty, and professionalism are a way of life for Millie and are included in the on-going training of her staff. This style of management also transfers over to her staff, whom she likes to refer to as “My Alliant Team.” The Alliant motto, “The Team Approach to Association Management,” is a successful standard within her company. Services: Preferred Property Programs offers an array of specialty insurance programs focused primarily on community associations, including umbrella, environmental impairment, workers’ compensation, equipment breakdown, and our latest product, commercial package. Having held various titles throughout 39 years in the insurance industry, Carmen has found none as fulfilling as her current title. Successfully overseeing the day-to-day operations of programs while sharing knowledge with new generations of professionals and leading a great team is “mission accomplished.” The best advice: “Learn as much as you can. Knowledge is yours to keep.” Common team goals have earned the company various recognition awards, including Top 50 Elite Agency, Top Insurance Specialist, and FLCAJ’s Readers’ Choice Award. When not at work, Carmen enjoys time with family, cooking, and traveling domestically and abroad. 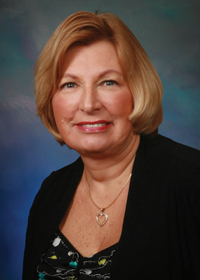 In 2008, Deborah moved to Southwest Florida from Maryland after working more than 30 years in corporate accounting. 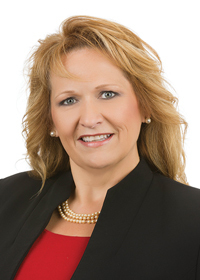 She joined Alliant Property Management LLC doing business as Alliant Association Management in 2009 and has grown in her responsibilities as the company has grown. 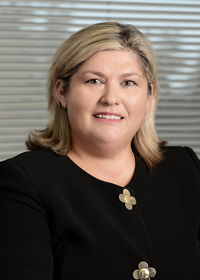 In her position as financial controller, Deborah is responsible for all areas of client finances and accounting. Her leadership, expertise, and knowledge of accounting are what make the Alliant accounting department stand out in the industry. As the business grows, Deborah still learns something new every day. She enjoys teaching and coaching board members in understanding and making financial decisions for their associations. Outside of work, she enjoys football, golf, and spending the day at the beach. A true leader, she loves inspiring and motivating people and leads by example. Services: Castle Group is the premier choice for community management, specializing in serving the finest condomin-ium and homeowner associations throughout the state. Castle’s philosophy is an unwavering focus on the resident experience; at Castle we call it Royal Service®. 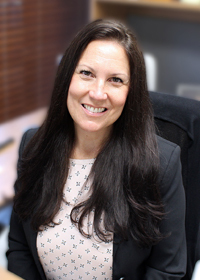 Stacy Titleman is a highly passionate customer experience and employee engagement leader directly responsible for the 43- member team providing accounting and financial related services to Castle Group’s communities. 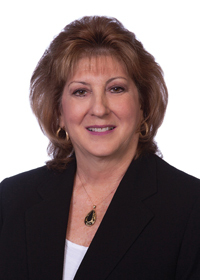 She brings more than 25 years of industry experience in CIRA accounting and has successfully implemented various operational and technology-related property management solutions. What she loves about her work at Castle Group is contributing her forward-thinking ideas and team-building skills to create a culture of innovation and positive employee experiences. Stacy holds a bachelor’s degree in accounting information systems from Pace University, and she is an active member of our CastleCares® philanthropic arm and an associate member of the FICPA.